Although document management is a good fit for every company, it’s a great fit for healthcare providers. After all, nobody has more rigid expectations and confidentiality requirements than the healthcare industry–and nothing can help meet those needs quite like document management! Here’s the truth: any solution used in the healthcare industry has to be able to handle the stress, complexity, and speed involved in saving lives. 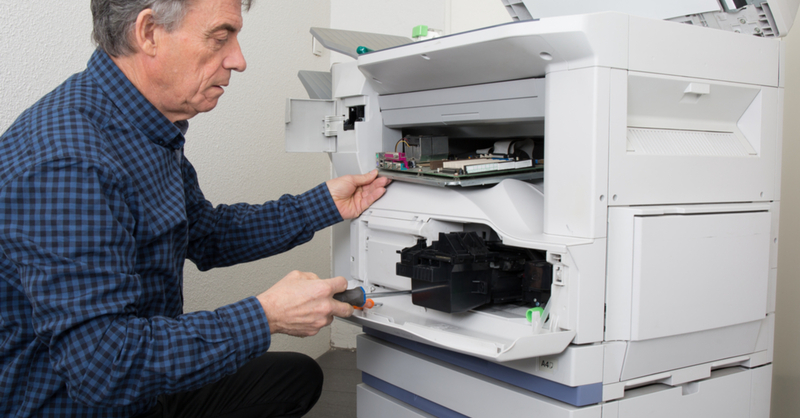 Looking at it from that perspective, a lot of document solutions might crack under the pressure–but not document management. This unique solution can do everything required of the healthcare industry, and all because it’s flexible, adaptable, and designed to grow and change–which means that, as patient needs and company policies evolve, so too will document management. Document management is a great fit for the healthcare industry because, even though security requirements and patient needs are always changing, the right solution can help you keep up with just about anything. After all, since document management was designed to adapt to the companies that use it, it’ll always reflect unique goals, ideals, and growth. 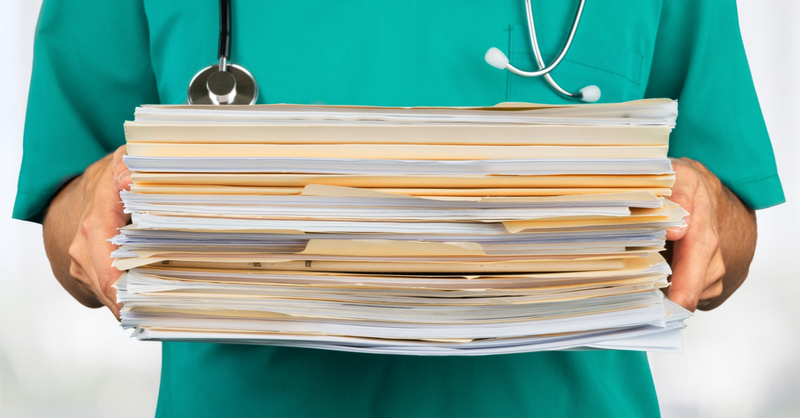 This is what document management can do for healthcare providers–what can it do for you? Contact us today to find out! Teleconferencing vs Video Conferencing: Does it Matter? When it comes to new technological conferencing solutions, businesses generally have two big questions: what is the difference between teleconferencing and video conferencing, and why does it matter? Today, we’ll help you answer both of these questions (and a few more) so you’ll be prepared to make the right call for your company. In many ways, “talking to each other” is what makes the world go around. That’s especially true in the business world–but to keep teams communicating clearly when working from home and on-the-go are increasingly popular options, you need a conference solution that works for everyone. That’s where conferencing solutions come in. By utilizing flexible technology to solve the problems you face in your unique workflows, conferencing solutions can bridge all the gaps and help individuals, teams, and even customers remain part of the conversation no matter where, when, or why. So, what’s the difference between teleconferencing and video conferencing, and why does it matter? Here are the specifics! “Teleconferencing” refers to a conference that happens, you guessed it, over the telephone. What’s great about teleconferencing, though, is that you can use just about any technology to make it happen–from smartphones to computers to radios. However, it’s important to remember that teleconferencing generally has no video element and can be a little less engaging because of it. Video conferencing is a specific type of teleconferencing that brings in that engaging visual element. It helps keep everyone in contact without introducing any complicated hardware or software requirements, it allows lifelike communication whenever necessary, and it doesn’t require anyone to travel or reserve a large conference room. Now that you have all the details, what are you waiting for? It’s time to try video conferencing in your business–and we’re happy to help. Contact us today! What variables and options do you need to consider in order to select the perfect phone system for your business? 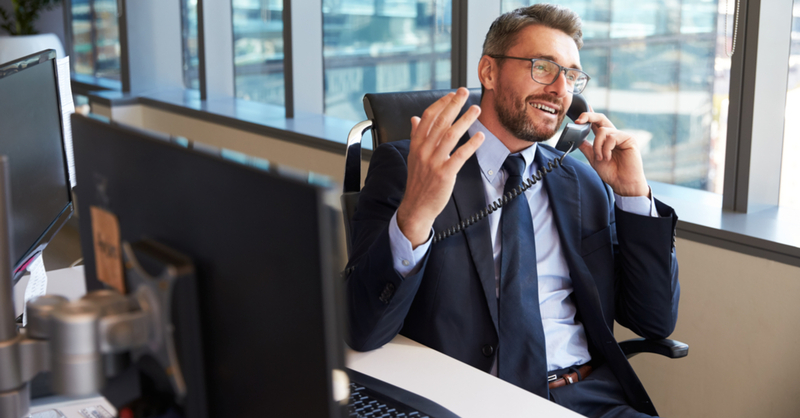 There’s a lot to think about–so today, we’ll help you ask the right questions and find the right answers so that your phone system is fast, efficient, reliable, and, most importantly, a perfect fit for your company. Are Phone Systems Really That Important? The long answer is that your loyal, hardworking phone systems facilitate a little bit of everything in your business, making sure that your teams stay in contact, giving your customers a reliable way to contact you, and impacting your overall appearance and level of professionalism. Even if you’re having your best, most productive day, a bad phone system can weigh you down like an anchor. So how can you avoid that fate? Simple: all you have to do is find the perfect phone system for your business! If that sounds like a tall order, don’t worry; here are a few considerations to get you started. First things first: ask yourself what your company’s unique needs and goals are. What do you need out of your phone system right now, and what might you need as you continue to grow? How much time do you have to learn new processes? Ease-of-use is no laughing matter. Simpler, more straightforward phone systems are a breeze to learn, but they might be a little less functional–whereas a phone system with all the options you could possibly need will probably have a small but relevant learning curve. No matter what, you’re going to want high-quality performance–but where do you need that quality? Are you just interested in making clear, simple calls, or do you want professionalism that can span multiple locations, connection types, and networks? These questions will help you understand what kind of quality you need and where you need it. Ready to find the perfect phone system for your company, or do you have a few more questions? Either way, we’re here to help. Contact us today!